I have started to create HDR images. This means that I take 3 exactly the same photos at different exposure settings. I then process these 3 shots in software that combines the best of each image without there being bright spots and dark, dark shadows. The sky is blue, the flowers show up... 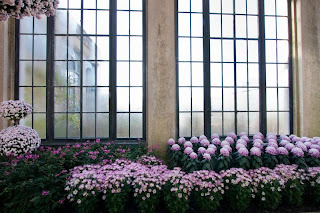 Here's an example from Longwood Gardens, with an image without HDR, and the second with HDR.